Ibo van de Poel is Antoni van Leeuwenhoek Professor in Ethics and Technology and head of the Department Values, Technology & Innovation of the School of Technology, Policy and Management at Delft University of Technology. He did a master in Philosophy of Science, Technology and Society (with a propaedeutic exam in Mechanical Engineering) and obtained a PhD in Science and Technology Studies from the University of Twente before he came to Delft in 1998. Van de Poel’s research focuses on several themes in the ethics and philosophy of technology: responsible innovation, design for values, the moral acceptability of technological risks, engineering ethics, moral responsibility in research networks, ethics of new emerging technologies, and the idea of new technology as social experiments. In 2010, he received a prestigious VICI grant from the Netherlands Organization on Scientific Research (NWO) for his research on new technologies as social experiments, and in 2018 he received an ERC Advanced Grant on Design for changing values: a theory of value change in sociotechnical systems. Since 1998, Van de Poel is lecturing in ethics and technology for several engineering course programs at Delft University of Technology. 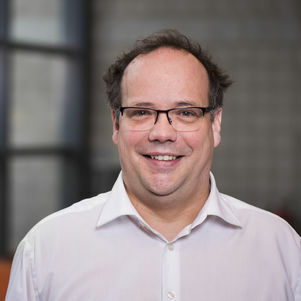 He has been involved in several educational innovations in this area, including the development of the web-based computer program AGORA and the first Dutch textbook on ethics and technology. He also co-authored an English textbook on the subject and is involved in the development of a MOOC (Massive Open Online Course) on responsible innovation and several ProfEds (professional online courses) in engineering ethics. He is also regularly advising universities abroad on implementing engineering ethics courses. Van de Poel, Ibo. 2015. "Morally experimenting with nuclear energy." In The Ethics of Nuclear Energy: Risk, Justice and Democracy in the post-Fukushima Era, edited by Behnam Taebi and Sabine Roeser, 179-199. Cambridge: Cambridge University Press. Van de Poel, Ibo. 2013. "Translating values into design requirements." In Philosophy and Engineering: Reflections on Practice, Principles and Process, edited by D. Mitchfelder, N. McCarty and D.E. Goldberg, 253-266. Dordrecht: Springer. Van de Poel, Ibo, and Jessica Nihlen-Fahlquist. 2012. "Risk and responsibility." In Handbook of Risk Theory, edited by Sabine Roeser, Rafaela Hillerbrand, Martin Peterson and Per Sandin, 877-907. Dordrecht: Springer. Value Change: ERC Advanced Grant on Design for changing values: a theory of value change in sociotechnical systems. This project aims to contribute to a better translation between science and policy to enhance the responsible development of modern biotechnology. PRISMA: A Horizon 2020 project that will pilot responsible innovation in eight organisations and will develop a roadmap for responsible innovation in industry. CANVAS: This H2020 project aims to unify technology developers with legal and ethical scholar and social scientists to approach the challenge how cybersecurity can be aligned with European values and fundamental rights. Van de Poel, Ibo, Donna C. Mehos, and Lotte Asveld, eds. (2018). New Perspectives on Technology in Society: Experimentation Beyond the Laboratory. Oxon and New York: Routledge. Van de Poel, Ibo, Lamber Royakkers, and Sjoerd D. Zwart. 2015. Moral Responsibility and the Problem of Many Hands: Routledge. van den Hoven, Jeroen, Pieter E. Vermaas, and Ibo Van de Poel, eds. 2015. Handbook of ethics and values in technological design. Sources, Theory, Values and Application Domains: Springer. Doorn, Neelke, Daan Schuurbiers, Ibo van de Poel, and Michael E. Gorman, eds. 2013. Early engagement and new technologies: Opening up the laboratory. Dordrecht: Springer. Van de Poel, Ibo, and Lambèr Royakkers. 2011. Ethics, technology and engineering. Oxford: Wiley-Blackwell. Vermaas, Pieter, Peter Kroes, Ibo van de Poel, Maarten Franssen, and Wybo Houkes. 2011. A Philosophy of Technology: From Technical Artefacts to Sociotechnical Systems. Vol. 6, Synthesis Lectures on Engineers, Technology and Society. Vincent, Nicole, Ibo Van de Poel, and Jeroen Van den Hoven, eds. 2011. Moral Responsibility. Beyond free will and determinism. Dordrecht: Springer. Van de Poel, Ibo, and David E. Goldberg, eds. 2010. Philosophy and engineering. An emerging agenda. Dordrecht: Springer.